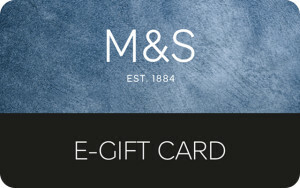 1	E-CODES TERMS AND CONDITIONS 1.1	Gift cards can be redeemed at Marks & Spencer stores (including M&S Outlets, railway, motorway and airport stores, in the United Kingdom, Eire and the Channel Islands, excluding BP stores) and online (subject to website terms and conditions). They may be exchanged for goods of a higher price than the face value of the gift card on payment of the difference. 1.2	Gift cards cannot be exchanged for cash or used to pay for M&S Bank services, products or outstanding card balances, made to measure shirts, Lunch to Go, domestic appliances or M&S Energy. 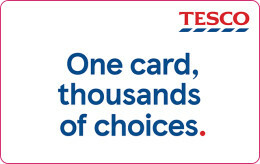 1.3	Gift cards can be activated with a minimum value of £1 and have a maximum value of £1,000. 1.4	Gift cards are valid for 24 months from the last transaction. Any remaining balance will be cancelled on expiry of the validity period. Balance enquiries can be obtained in store or by calling 0333 014 8777 for the UK and Channel Islands (local rates apply) or 1890 719380 for Eire (mobile rates may vary). 1.5	If any product purchased with a gift card is subsequently exchanged for a product of a lower price or a refund, any money owing will be added to the remaining balance on the gift card. 1.6	If the Customer does not spend the entire balance on the gift card, the remaining balance will be updated after each transaction and shown on the Customer’s printed till receipt. 1.7	Gift cards should be treated as cash. They are not cheque guarantee, credit or charge cards. Marks and Spencer will not accept liability for lost, stolen or damaged gift cards. 1.8	Marks and Spencer reserves the right to amend the terms and conditions of gift cards at any time and to take appropriate action, including the cancellation of the gift card, if, in its discretion, it deems such action necessary. This does not affect your legal rights. 1.9	Marks and Spencer will not accept back, exchange or refund any gift cards once provided to the Customer unless such gift cards are defective. To spoil someone with a little love from M&S is a surefire way to bring a smile to their face. No other company showers the public with delectable products in every department quite like Marks and Sparks, so why not treat another with a Marks and Spencer gift card and let them pick from the bountiful selection of goods for them, the home and much more. Established in 1884, M&S has kitted the nation out for years with a stylish range of clothing, shoes and accessories for the whole family. From the softest PJs to must-have school kits, on trend womenswear and much more - Marks and Spencer gift vouchers make the perfect present for everyone. With delicious and award-winning food and wine to delve into too, for a family member, friend and anyone who likes a little indulgence - you won’t go wrong with M&S. 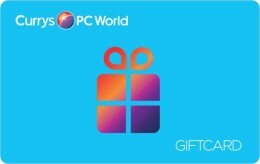 To use your e-gift card in store, simply print out and present at the till - you do not need your PIN. 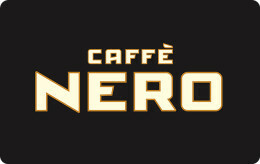 For your convenience your e-gift card can be cut out and stored in your wallet. To spend your e-gift card online, please enter the 16 digit card number at the checkout, selecting the gift card option at payment. You will need to enter your PIN.